Welcome to Whole Horse Equine, everyone’s favorite equine products. We have all of your favorite equine products, and check often for new product launches! Free shipping every day over $75! As horse people, we have all had the same experience. We find ourselves covered in sweat and horse hair, and yet, all we can smell are chemicals. We are desperate to fight the flies, get those stockings white, and clear up that rain rot… preferably before that show in a few days, so we have turned to dozens of bottles of harsh chemicals from companies that look to hide ingredients and even create products that degrade in sunlight. So we founded Whole Horse Equine. After all, when you combine a chemist, a racehorse owner, and an eventer, you get more than a group of products, you get a small (but mighty) revolution. 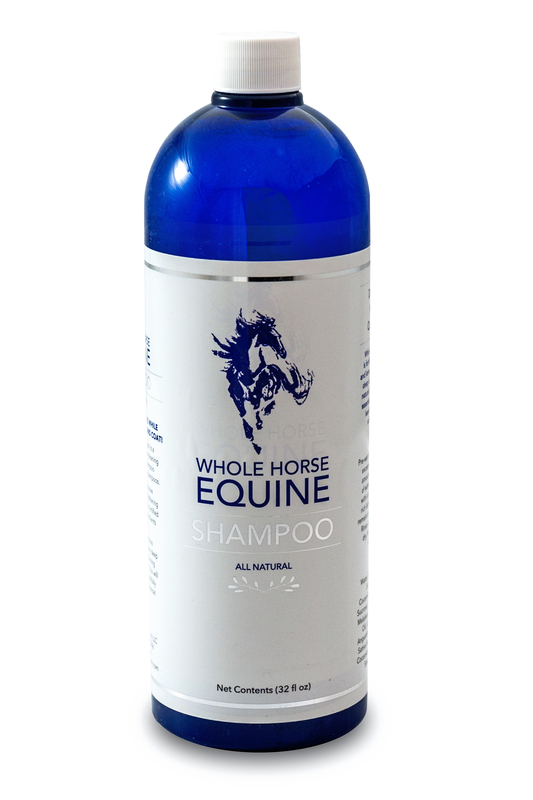 Whole Horse Equine is a family business that is dedicated to developing products that work, products derived from natural ingredients, and products that are backed by best in the business customer service. 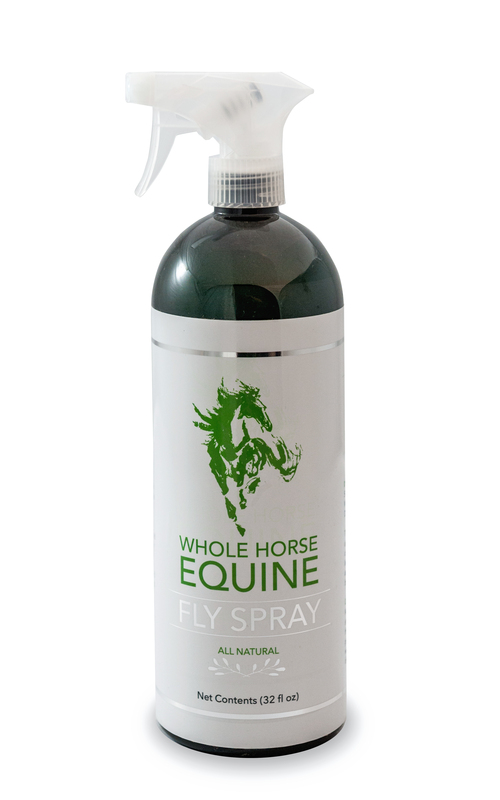 Whole Horse Equine Fly Spray is specifically formulated to be safe and effective in repelling insects with a unique blend of essential oils and natural surfactants in a pH balanced solution. Repels insects, such as flies, gnats, mosquitoes, and other annoying flying pests for up to 8 hours. This gentle formula also will not cause scurf. 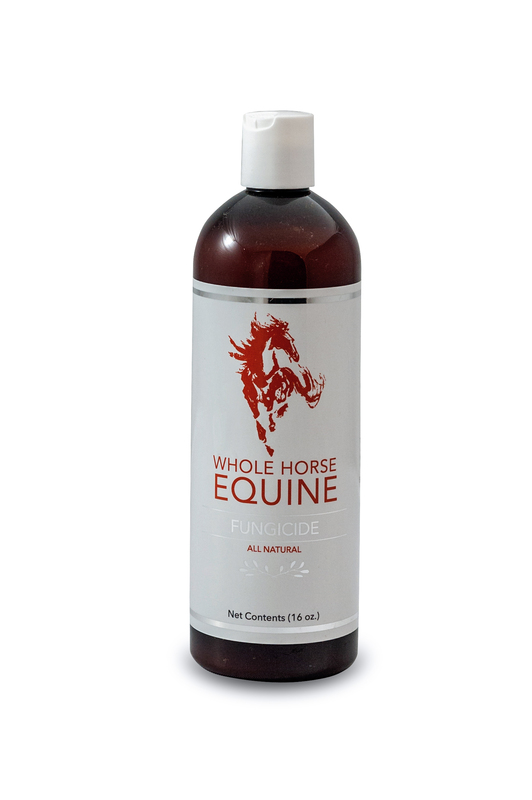 Whole Horse Equine Fungicide has been specially formulated to combine the natural healing benefits of colloidal sulfur and essential oils, providing quick relief to most skin conditions. This antifungal cream helps prevent infection, soothes and promotes healing, healthy skin, and hair regrowth in affected areas. From a dream to reality...home grown in your backyard. Whole Horse Equine is a trendsetting Online Store, offering our first-rate products and exceptional customer service to shoppers from the comfort of their own homes. We’re a business made up of innovators and forward-thinkers, with the drive and wherewithal to constantly update and improve the online shopping experience. Whole Horse Equine is a family business that is founded on developing products that work, good customer service, and a natural footprint. A chemist, a racehorse owner, and an eventer – we test all of our products on our horses, so they are tried and true. We have produced all natural line of equine topical products with the horse and humans needs in mind. The “best in the business,” is how we describe our formulator; she has many years of knowledge of essential oils and the effectiveness of each. All of our products are naturally formulated, with no harsh chemicals. All of our products are tested on our personal horses, and we stand behind our products 100%. Our Sponsored riders and barns are addicted, and recommend all of our products to their clients. Contact us if you are interested in becoming a sponsored rider, or if you would like to carry our products! Veterinarians, Farriers, Tack Stores, Body Works Specialists give us a shout for special deals!